Mmmm fish stew. Moving to London has given me an abundance of time to really spend some time cooking - something I knew I’d always enjoy but never had the time or kitchen space to properly do so. Cooking is also very very satisfying when the only critics are yourself and your boyfriend, the latter of which is pretty much obligated to rub his tummy and make yummy noises. 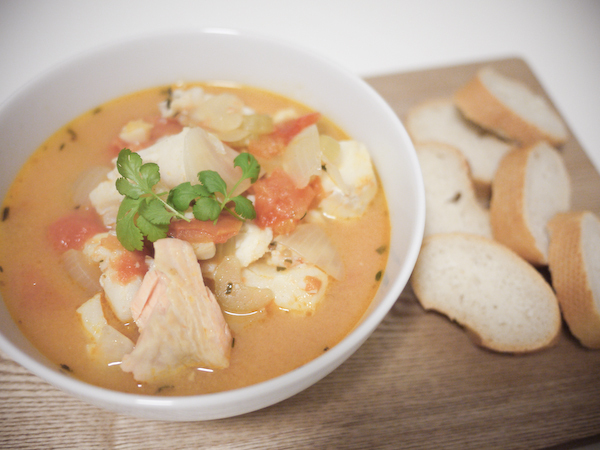 For the fish stew above, I used a variation of Jamie Oliver’s aegean kakavia recipe here. Follow me on instagram (shalai) for more pics of my culinary quests!